Overview... a 28-year-old man about to get married to a college student. 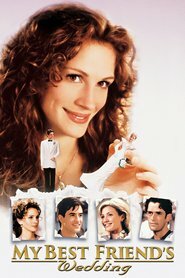 The catch is that Michael is unwittingly breaking the heart of his best friend, Julianne, in the process. The two of them had promised that if they weren’t married by the age of 28, they would marry each other. And Julianne, it happens, isn’t someone to mope around with a broken heart, but rather one to take action. Personality… charming, fun, and quick on his feet. Michael doesn’t always pick up on Julianne’s sarcasm, but anything he misses is easily gleaned by his wife-to-be, Kimmy. Although they don’t seem like the perfect couple, Michael was swept away by Kimmy and now wants nothing more than to spend the rest of his life with her. Michael O'Neal's popularity ranking on CharacTour is #4631 out of 5,000+ characters. See our top-ranked characters and read their profiles.